People always ask about my hair color, and they are ALWAYS shocked when I tell them that I color my hair at home! Honestly, it’s easier and less messy than cooking. I love my hair. So, I always look for colors that look natural that I can pull off. 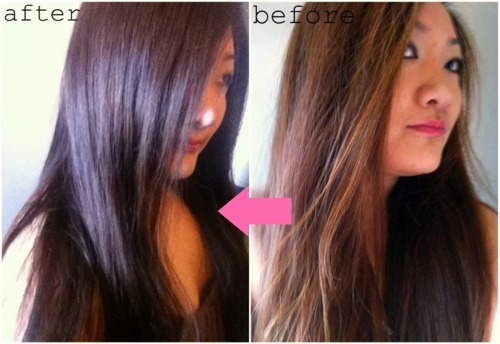 Plus, coloring your hair at home is much much cheaper! Two things to keep in mind. 1. Picking a color. 2. Choosing your product. I normally stick with light-medium reds and browns. That’s just the color that feels right with my overall style and skin tone. I look for at-home coloring systems that are easy/no-drip, uses an innovative technology and has a conditioning component. L’Oreal Paris launched a new foaming mousse hair coloring product this month called Sublime Mousse and I was so excited, because the foam sounds so advanced and it fits my criteria, perfectly. I am happy to tell you that it is what I used to achieve my new rich red/brown. What’s new and interesting with Sublime Mousse? The colors available are very natural-looking. Foam. 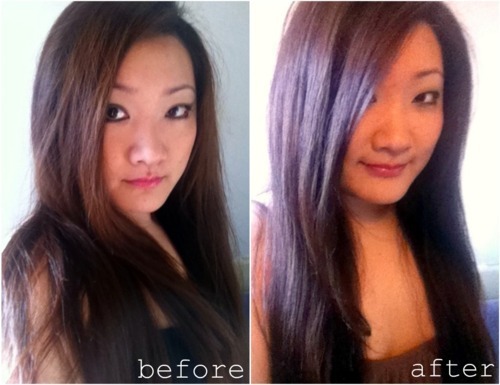 The aerated haircolor can wrap around hair strands for complete coverage! Delicate scent — no ammonia smell. :) QR code instructions (so tech-savvy!). 30 minute process. Conditioning treatment. What to expect in the product box? A pair of gloves. Instruction sheet. Colorant & Developer. Foaming pump. Healthy Shine Conditioner. The Experience. The instructions are very easy to follow, and everything is labeled for super easy recognition. I really love how the mixture turns into a light foamy mousse after being pumped out. It’s such a refreshing fancy from previous products with heavy drippy mixes. The beauty of the mousse is the quick absorption, no drip and ultra light formula. I had to use the entire bottle because my hair is extremely long. Even with an entire bottle of contents on my hair, it was still lightweight. The application was the fun part — no sectioning off or layers of hairclips. Once you squeeze out the foam into your hands, you just massage into your hair — like shampooing!! 30 minutes. Wash. Condition. Dry. I can’t stress how easy it is to color your hair at home. 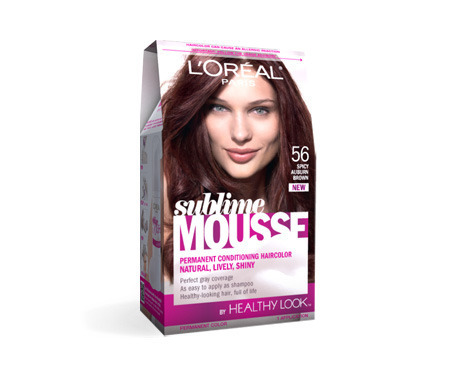 With this new Sublime Mousse, coloring just got a whole lot easier. I promise. Now you don’t need to deal with any messy cleanups with the foaming mousse haircolor. I have a lot of pictures! You can see exactly how natural and vibrant the coloring is. The photo below is an outdoor, natural sunlight shot. Although, my pale face is washed out, you can see the complete coverage and saturated color. My new color is definitely spicy. I think the new deeper color adds more drama to my look. A pop of life and color into my everyday style! Do you love it? Get a $3 discount coupon from L’Oreal! Buy L’Oreal Paris Sublime Mousse on Amazon! Disclosure: A free review sample of this product was provided by L’Oreal Paris via Glam Media. is it red? because the color on the model of the box looks brown to me. 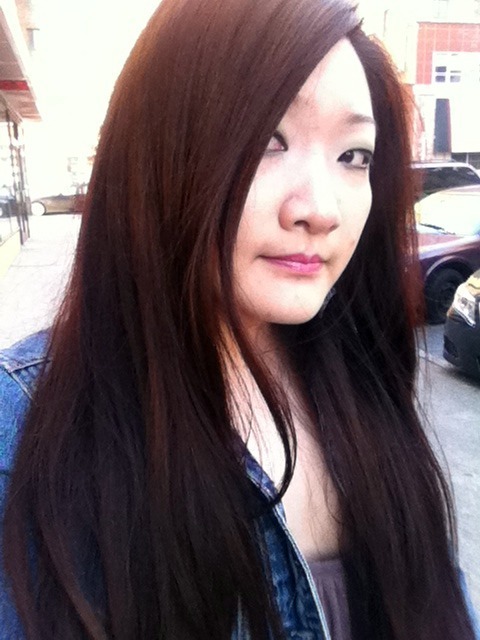 I’m looking to do a subtle but definitely looks red color. I would say it’s brown with some dark red undertones in it. For a more apparent red color, I would look into the Light Auburn Brown or Dark Copper Blonde from L’Oreal Sublime Mousse.